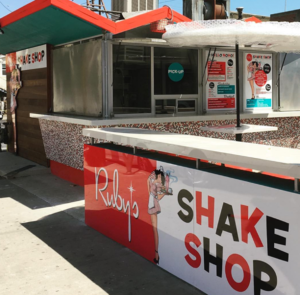 RUBY’S SHAKE SHOP serves up the magic of RUBY’S DINER in a fun and fresh way! 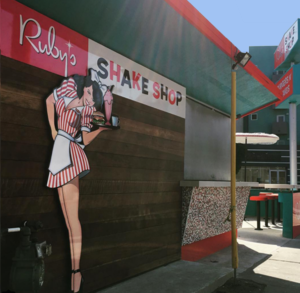 Serving breakfast, delicious burgers, and the handmade shakes & malts our guests have loved for years! 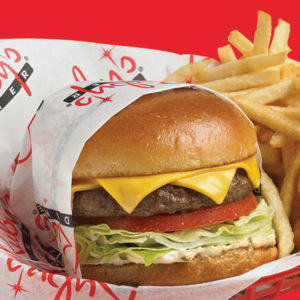 There’s nothing like a classic Ruby’s burger. 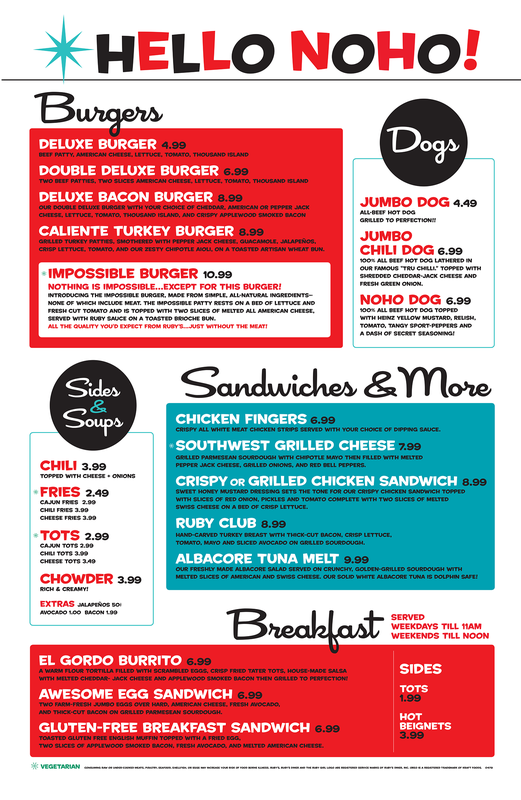 Shooby Dooby on by to give our signature burgers a try! 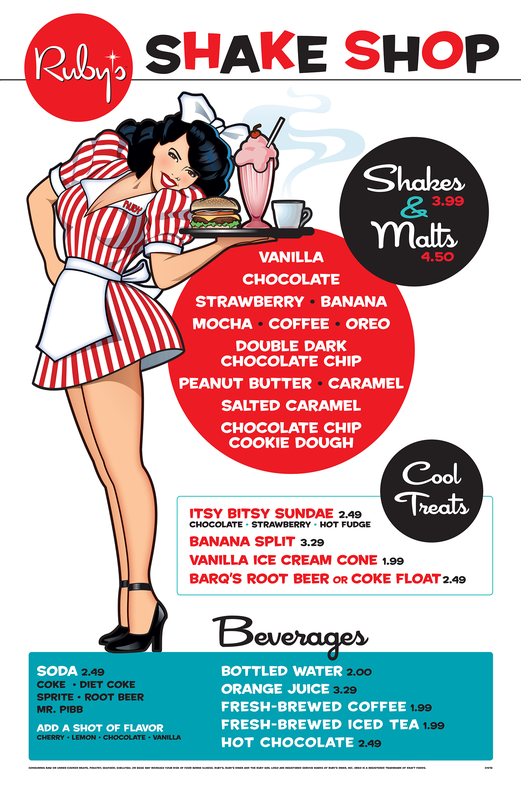 Shake up your order with any of our delicious handmade shakes and malts. 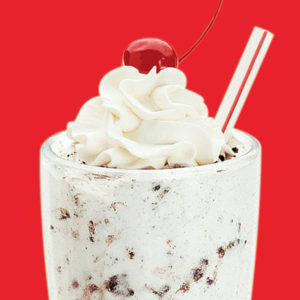 Our classic shakes are a Ruby’s fan favorite! Love Breakfast? Come on Over! 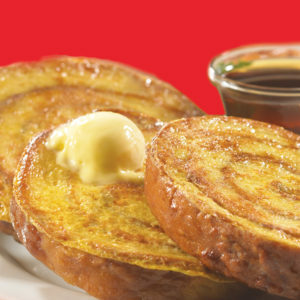 We have the Perfect Cinnamon Roll French Toast Combo! OF THE NOHO ARTS DISTRICT! three blocks north of the NOHO gateway. 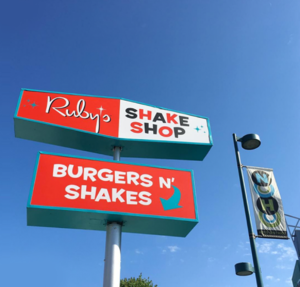 Stop by for Breakfast, Lunch, Dinner, or a Shake! We’re open late! … See you soon! 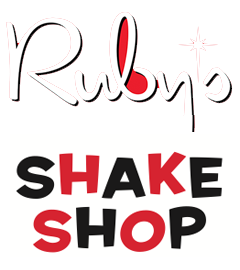 Free Shakes, Birthday Gifts, And VIP Offers!